Penal Colony (PC) UY 64/71 popularly called «Jaslyk», as it is located in a village named «Jaslyk», (Kungrat region of the Republic of Karakalpakstan), which is in the northwest of Uzbekistan. Initially, it was known that PC was created for the detention here people who considered by Government as enemies of the country. For this category of people the authorities treated the members of opposition parties and movements, human rights defenders, independent journalists, and businessmen who lead its business independently from the government and not by the rules established by the officials from the government, which demanded that the businessman should share with them their income or businessman who claimed to any position in the government. For example, since 1997 in CP resided Rustam Usmanov, Ph.D. in Economic, the author over 300 articles, pamphlets, and books, a businessman who created »Rustam-bank» – the first private bank in Uzbekistan. His only fault was that he has written a letter to the head of the State and in that letter, he proposed his candidacy for the post of Prime Minister in order to lead the country out of economic crisis. The colonies of a special regime designed for keeping convicts men who recognized as especially dangerous recidivists. In the colonies of the special regime also includes men for who death penalty replaced with imprisonment by pardon. EXPLANATION: The word” specialized” and ‘‘strict regime » are already appearing on official documents. For example, in the text of the sentence imposed by the Kungrat District criminal Court on May 1, 2015, against human rights activist Azam Farmonov these words occurred. In Uzbekistan, there is no other PC except UY 64/71, where the prisoners were held at the same time the three levels of the detention regime, which are specified in the court verdict. This fact shows the unique of CP UY 64/71 in the sense that, at the end of the 90’s of the last century the Uzbek authorities purposely built this PC for the complete isolation of so-called enemies of the country’s people. PC UY 64/71 is remarkable by the fact that it was created on barren, lifeless expanses of the Ustyurt plateau, which is part of Kisilkum, the greatest desert in Central Asia with a sharply continental climate. In the summers, the temperatures reach over 50 degrees Celsius, and in the winters drops below minus 30 degrees. In Jaslyk there is no running water, people used to drink brackish, high-level salinity water, which is pumped from the ground. Nearest town from PC UY 64/71 is 200 km. The rest of PC in the system of Main Directorate of Penitentiary (MDP) is located either in the cities or in the vicinity of townships. Only PC UY 64/71 is somehow far from the townships. If convicted resident of Tashkent contained in PC UY 64/71, then his family members (wife, father, mother, etc.) in order to visit him have to go by train to Jaslyk, which is 1,500 km far from Tashkent. In PC UY 64/71 also contains convicted from three eastern provinces of the Ferghana Valley – a colony from this region are even further: approximately 2,000 kilometers. Why PC UY 64/71 set up in the desert and at a great distance from human settlements suggests that the government intended to hermetically isolate their ”enemies” from the country’s people. That is why any prisoner of PC UY 64/71 without exaggeration could be called a prisoner of Jaslyk. Below I would like to write a story about one of them – a human rights activist -Azam Farmonov. 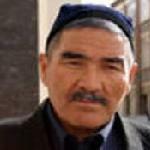 Human rights activist Azam Farmonov – is the chairman of Sirdarya regional branch of the Human Rights Society of Uzbekistan (HRSU) more than 10 years is contained in PC UY 64/71. He was the young, talented and fearless member of the HRSU. He became a member of the HRSU in 2000 when he was 22 years old. A.Farmonov was a native of the village Okmachit, Besharik district of Ferghana region. Okmachit village is located near the border with Tajikistan, which was considered depressed areas and therefore villagers migrating to other areas or to Russia for searching for the job. After serving in the army Azam Farmonov began to live in the city of Gulistan (center of Sirdarya region), where his cousin and two sisters lived and worked. His stormy advocacy to protect the rights of farmers and other categories of the people in Sirdarya and Jizzakh regions was seriously alarmed the authorities of these regions. Consequently, head of the division for the fighting against terrorism of the Internal Affairs department of the Sirdarya region Colonel Muso Radjabov set a condition before Azam Farmonov: either you would go anywhere in Okmachit or we will send you to Jaslyk. On November 5, 2005, by the local government was an attempt to get him to leave his native village: they organized burning his house on the first floor, where he lived with his wife and year-old daughter. In those days there was quite cold weather and the family was left in the street. But his wife and daughter sheltered by housemates and his friends in a short time repaired burned apartment by installing new doors and windows frames. So, local authorities forced plan to relocate a human rights defender with his family in another area was failed. However, the authorities did not stop: after six months, or more precisely, on 29 April 2006, Azam Farmonov was arrested on the trumped-up criminal case. State powers in the person of Colonel of Department of Internal Affairs Muso Rajabov have achieved his dirty business -immediately after the judgment (15 June 2006) Azam Farmonov was transferred to PC UY 64/71 Jaslyk. presiding – Judge of the Court D.Razov; Secretary B.Tleuberganov, the public prosecutor – a special prosecutor of Kungrat region M.Davlatkilichev with the participation of the defendant – A.Farmonov in the building of Kungrat district department of internal affairs, in the open court considered the criminal case №156673, instituted by the preliminary investigation body against A.Farmonov to the accused under the item «b» of part 2 of article 221 of the Criminal Code of the Republic of Uzbekistan. In addition, witnesses at the trial Davlatov Parhat Saparbaevich, Abdimajidov Abdibet Aleutadinovich, Djumagulov Suyishbek Tlegenovich, Yusupov Dilshod Turamuratovich, Toremuratov Sobit Otashevich are employees of PC UY 64/71. As can be seen in the composition of the court, there is only one of the opposing sides on the court – the public prosecutor. There is no other major side – defense counsel (lawyer) of the defendant. Consequently, the court was not adversarial, which is a flagrant violation of the requirements of the Article 25 (adversarial proceeding at court) of the Criminal Procedure Code (CPC) of the Republic of Uzbekistan. CPC of Uzbekistan requires not only the competitiveness of the court but also is in Part 6 of Article 51 (Mandatory participation of defense counsel) categorically states that: » Participation of a defense counsel in criminal proceedings shall be mandatory in cases that involve the participation of a state or public accuser ». CONCLUSION: In order to keep remain human rights fighter as long as possible in custody the authorities went on an unprecedented falsification of the law. No, any the democratic state is not allowed like this the judgment seat. The trial in the Kungrat district criminal court against of human rights activist Azam Farmonov was the judgment seat and not the real court. It is not difficult to imagine the situation in the courtroom and the trial proceedings: the judge D.Razov was seated in a chair judge and next to him with his writing materials occupied court secretary B.Tleuberganov, chair of the public prosecutor took prosecutor M.Davlatkilichev. Five minutes later, two police officers entered the courtroom Azam Farmonov with handcuffs on his hands, one police officer with a key opened the iron door iron cage for the defendants, and the second officer pushed him in a cage, and the first locked it with the key. Everything is ready – you can make fun of plenty! The prosecutor read out the indictment. The judge asked the defendant: ‘Defendant, do you acknowledge or not the accusations in your address, read out the indictment?’ »No, I do not recognize. I did not commit these criminal acts. All this is a lie» – replied Azam Farmonov. Judge D.Razov: »Call the witness Davlatov Parhat Saparbaevich». Judge D.Razov: ‘Witness Parhat Saparbaevich, put your right hand on the Constitution of the Republic of Uzbekistan and repeat the oath after me: I, Davlatov Parhat Saparbaevich, I will tell the truth and nothing but the truth in this testimony.’ ‘Next witness Davlatov Parhat Saparbaevich tells how and when it is timed as the defendant has violated the internal rules which established the colony penal. The defendant denies the allegations, citing the irrefutable facts proving the falsity of testimony of a witness. And the same thing happened with the all other »witnesses ». Judge went to the deliberation room for sentencing. Judge D.Razov appeared in the room pretty quickly and read the sentence: » After reviewing all of the preliminary investigation materials, having heard the arguments of the public prosecutor and witnesses, as well as the answers of the defendant Azam Farmonov court on behalf of the Republic of Uzbekistan shall issue a verdict: to consider the defendant Azam Farmonov committed crimes provided for in paragraph » b », part 2 of article 221 (Disobedience to Legitimate Orders of Administration of Institution of Execution of Penalty) of the Criminal Code of Uzbekistan. For the commission of these crimes the defendant Azam Farmonov was sentenced to 5 years 26 days’ imprisonment. The term of punishment the convict is serving in the same colony UY 64/71, where he was serving his first sentence. The court considers it appropriate to change the content of the convicted Azam Farmonov regime from general to a strict ». The first meeting of Ozoda Yakubova with her husband held in late June of 2015after the verdict Kungrat District criminal Court. Edmond: Monsieur, I know you must hear this a great deal; I assure you I am innocent. Everyone must say that I know, but I truly am. Dorleac: I know. I really do know. Dorleac: No, my dear Dantes. I know perfectly well that you are innocent. Why else would you be here? If you were truly guilty, there are a hundred prisons in France where they would lock you away. But Chateau d’If is where are they put the ones they’re ashamed of. What are the similarities between the Chateau d’If and PC UY 64/71? 3) In the Chateau d’If and in PC UY 64/71 put those who are ashamed of. After 23 years in the PC UY 64/71 On August 18, 2016, was released Shuhratilla Nosirov, who was sentenced to 15 years in prison in the early 1990’s for the construction of the luxurious mosque at the place of residence.